Not having a crystal ball, Andy Pearcey had no idea what his future would hold when he received an unwanted text in November 2012. The Rogers customer tells CBC's Go Public that he later learned a third party was billing him nearly $10 a month for more than two years - without his knowledge. Do you have a story tip for Go Public? 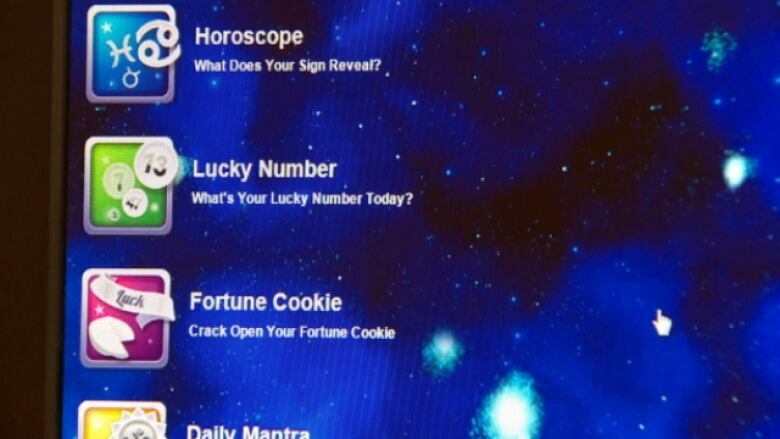 He had paid almost $300, but said that when he asked Rogers for a refund, the telecom initially told him to take it up with the fortune teller, ifortune. “I was livid,” Pearcey told CBC's Go Public. Pearcey said a customer service agent eventually offered him $50 and was told if he wasn’t satisfied with that, he would have to call back the next day to speak with a manager. “He was even less helpful,” Pearcey said. Pearcey, a lawyer himself, wrote a complaint to Rogers’s legal department, but says he didn’t get a reply. “I was incredulous that such a large, sophisticated corporation would react this way,” Pearcey said. “This was an easy win for them. Just give me my money back and apologize and I would have gone away. But they said no. After Go Public requested an interview, Rogers offered to credit Pearcey’s account. A company spokesperson said it isn’t company policy to offer customers money in return for not speaking to the media and that Rogers was coaching its customer service representatives to make sure they understand its policies. 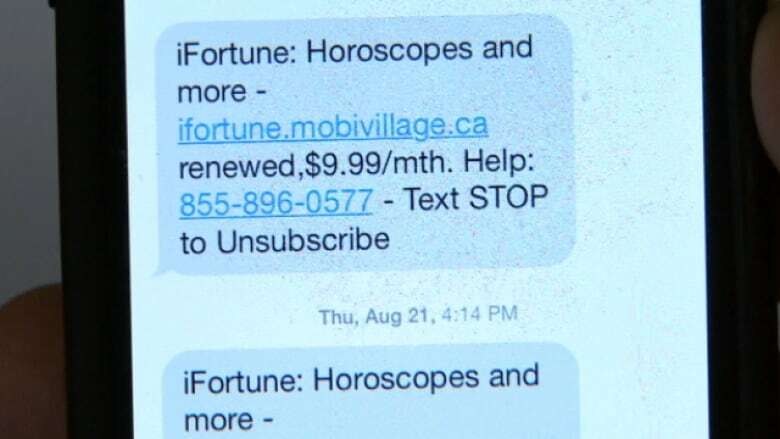 Pearcey admits to having received texts from ifortune, but says he ignored them, treating them as unwanted spam. “You don’t go and read your spam mail. Most people don’t. I certainly don’t have the time. “I thought someone was trying to sell me something. I just ignored it and didn’t know they were taking $9.99 a month from me,” he said. Rogers sends a monthly statement to Pearcey by email and automatically charges his family’s bill to his credit card. Pearcey said with a busy career, a working spouse and three children under two, he doesn’t have time to go through his bill line by line every month. He said he reviewed the total amount on the first page and didn’t notice any anomalies. Had he kept clicking the links in his electronic monthly statement, he would have seen a charge of $9.99 for “Buongiorno ifortune” — on Page 6. Rogers declined a request for an interview and emailed a statement instead. Rogers spokesman Kevin Spafford said the company was “immediately suspending all programs offered by the third-party vendor in question so we can fully investigate. “We’ve apologized to the customer and are providing a full refund, which is our policy in cases like this,” Kevin Spafford wrote. In September 2012, following a five-month investigation, the federal Competition Bureau announced it was suing Rogers, along with Bell, Telus and the Canadian Wireless Telecommunications Association for $10 million each and demanding refunds for customers like Pearcey. The bureau alleges the telecoms misled their customers into signing up for costly premium texting services and profited at their customers’ expense. Telus, Bell and Rogers all say they no longer sell premium text message service themselves, though Spafford said Rogers continues to act as a billing agent for other providers when customers make purchases or subscribe to services on their device. Spafford said Rogers will provide full refunds to other customers with the same complaint as Pearcey’s. The ifortune.ca website is owned by DADA Entertainment. (CBC)​However, Rogers’s website still says it’s the customer’s responsibility to contact “third party content providers” directly regarding billing inquiries. Rogers will not disclose how much it may profit from third-party texts, but says it charges a processing fee for acting as the billing agent. Rogers’s share of the $9.99 that Pearcey was charged each month could be as much as 50 per cent, according to John Lawford of the Public Interest Advocacy Centre, which published a report on premium texting services in 2011. Lawford says if Rogers profits from the texts that could put it in a conflict. “I don’t think that it’s a lucrative sideline”, Lawford said. “What I think you have though, is a disincentive to the telecom company to assist the customer ... because they are in the business of sharing the proceeds of the text message”, he said. After he called Go Public, Rogers offered to credit Pearcey’s account $283.22 . “That’s progress, but I still don’t think it goes far enough,” he said, adding he was told he would still have to contact the fortune-telling website to avoid being charged in the future. Pearcey said he didn’t want to have to remain a Rogers customer in order to collect his credit and he wanted the company to apologize. Pearcey said he found many stories similar to his on internet complaints boards. “They know people have been complaining, they’ve done nothing until now. That, to me, suggests they didn’t think there was anything wrong until now,” he said. Rogers later agreed to give Pearcey a total refund and allow him to cancel his contract without a fee. “It took a lot longer that it should have, but I’m happy they’re ultimately going to refund my money,” Pearcey said.